Ashwagandha (Withania Somnifera) helps in improving immune system. It is a potent adaptogen and aphrodisiac herb used in impotency, cancer, frequent miscarriage, uterine weakness, infertility, asthma, anemia, cancer, arthritis (osteoarthritis, gout, rheumatoid arthritis), anxiety, stress, depression, ADHD (Attention deficit hyperactivity disorder), cerebellar ataxia, diabetes, high cholesterol, infertility, Parkinson’s disease, fibromyalgia etc. Ashwagandha (also known as Indian ginseng) is used in Ayurveda since a very long time as a crucial part of ayurvedic treatment for several health conditions. In Ayurveda, Ashwagandha is Rasayana (potent rejuvenative agent). It is acknowledged to increase the vitality and longevity. It improves memory, preserve mental functions and increases intelligence. It protects brain from degeneration and dementia. Due to its anti-inflammatory properties, it is widely used in all inflammatory disorders. The meaning of word Ashwagandha is ‘smell of horse’. It is named so for two important reasons – first is because roots of Ashwagandha emit the smell of horse. Second reason is – it is believed that consuming Ashwagandha in any form may develop or improve vitality, energy levels and strength similar to that of a horse. Ashwagandha is available in the market as a single herb formulation or in combination with other herbs. 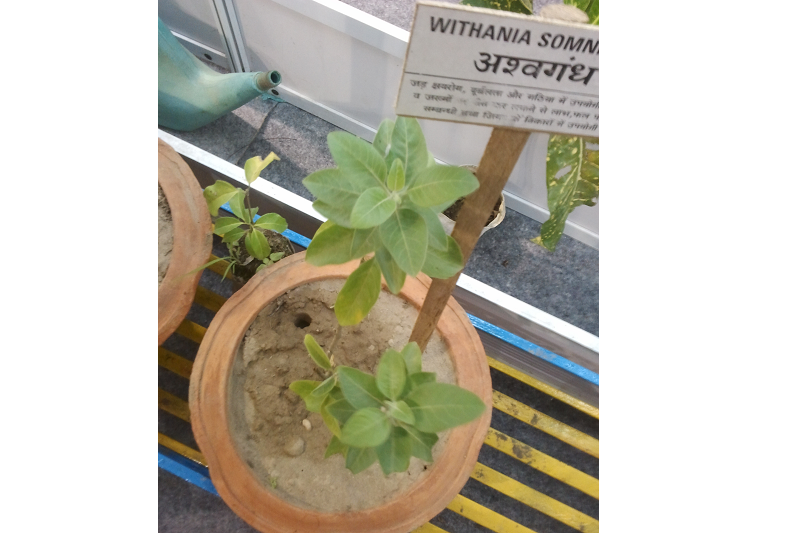 Scientific Name of Ashwagandha is Withania Somnifera. In Latin, the meaning of Somnifera species is ‘sleep inducing’. Native Region It is cultivated in various regions of India such as NEEMUCH, MANASA, JAWAD TEHSILS of the MANDSAUR district of Madhya Pradesh, Punjab and Rajasthan. It is also distributed in Afghanistan, Baluchistan, Sri Lanka, Mediterranean regions, the Canneries and Cape of Good Hope. Height Ashwagandha is a short perennial shrub that grows 35-75 centimeters tall. Habitat A dry climate is required for growth of Ashwagandha. Leaves Ashwagandha leaves are simple, ovate, elliptic and dull green in color. They are usually 10-12 centimeters long. Flowers Ashwagandha flowers are tiny and bell-shaped around 1 centimeter long. Very few flowers are 5 centimeter long. They have a beautiful green or lurid yellow color. Fruits The fruits (berries) are orange-red in color when they reach a mature (ripe) stage and they have a diameter of 6 millimeter. 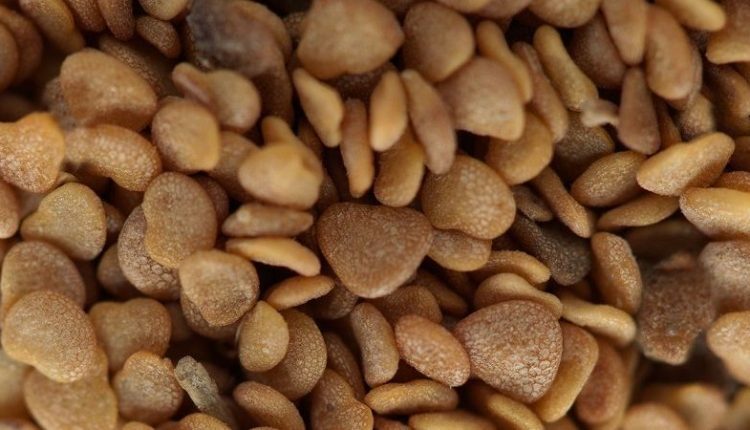 Seeds Seeds have a diameter of 2.5 millimeter and they are yellow in color. Roots Ashwagandha roots are stout and fleshy when dry. They are unbranched, straight and gradually tapering downwards. Roots have a brownish white color on the outer side and the inner region is creamy white in color. Generally, roots are used in ayurvedic medicine for aphrodisiac and rejuvenative purposes. Other parts of Ashwagandha including leaves, seeds and flowers also possess therapeutic properties. Roots of Ashwagandha are highly valued for its medicinal properties. It is used as a narcotic, aphrodisiac, astringent, diuretic, anthelmintic (expels parasites out of the body) and a stimulant. It is also used for the treatment and management of Leukoderma (a skin disorder), nervous breakdown, constipation and goiter. A paste made from Ashwagandha roots can be applied for the treatment of painful swellings and ulcers. Ashwagandha leaves possess medicinal properties. These are recommended in painful swellings and fever. Ashwagandha decreases joint inflammation and swelling. It is also reported be beneficial in decreased bone density along with arjuna and hadjod herbs. Since 6000 years, Ashwagandha has been used as a traditional medicine in India. Ashwagandha holds the most prominent place among all the Ayurvedic ‘Rasayana’ herbs. Ashwagandha powder (churna) is usually consumed by mixing it with ghee, milk, water or honey. Various studies have showed that Ashwagandha has beneficial effect on different systems of the body. It promotes a healthy reproductive balance and improves the function of overall reproductive system. It also improves memory and cognition by enhancing the function of the nervous system and brain. Ashwagandha boosts the immunity by improving the body’s defense against various diseases. Besides this, it also plays an important role in the management of various diseases and disorders such as diabetes mellitus, liver diseases, cardiovascular diseases, hypertension, cancer, gastric ulcers and arthritis. Ashwagandha (in form of Churna or powder) is beneficial in lower dosage (500 mg) for preventing diseases by boosting immune system functions. It enhances non-specific immunity. It alleviates stress, increases physical stamina, and improves overall health. For tonic and Alterative purposes, 500 mg of Ashwagandha power (churna) should be taken with milk throughout the life. In India and Sri Lanka, ancient Vaidya (ayurvedic doctors) were using this remedy in their families since 3000 years. Ashwagandha is a reputed health tonic that is used in the treatment and management of heart diseases. Oxidative stress and increased load of free radicals increases the pressure and burden on the heart. This compromises the functioning of the heart and affects its structure too. Ashwagandha is considered a heart-protective antioxidant that scavenges free radicals and reduces oxidative stress. It further inhibits lipid peroxidation (degradation of lipids). Such a property of ashwagandha is comparable to that of vitamin E. A study found that treatment with ashwagandha improved overall heart health in patients with heart diseases by increasing the heart rate, contractility and relaxation. Furthermore, ashwagandha has energy boosting properties that provides energy to the heart and improves the overall functioning. It also protects the heart by inhibiting the markers of inflammation that may otherwise cause damage to the heart by increasing inflammation. Besides this, the structure of ashwagandha is similar to that of DIGOXIN, a drug used in the treatment of heart. In Ayurveda, Ashwagandha is used along with Arjuna. Ashvagandha & Arjuna Ksheer is more beneficial for heart patients experience debility and exhaustion. + In pre-hypertension & mild hypertension, Sarpagandha powder is not required. This Ashwagandha combination is highly effective in moderate hypertension. In severe hypertension or stage 4 hypertension, Sarpagandha powder dosage should be increased to 250 mg twice daily in this combination. Ashwagandha has gained recognition recently as anti-anxiety and anti-stress agent. 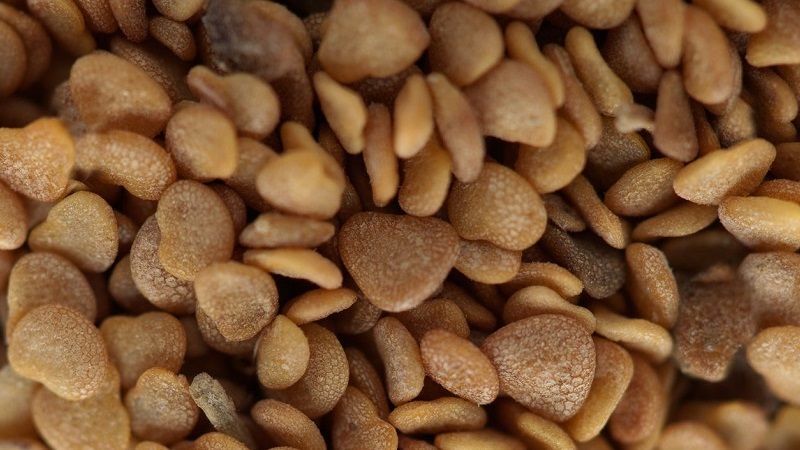 It is an adaptogenic herb, which raises the ability of the body to resist the damaging effect of stress on the body. Thus, it restores normal physiological functioning. It also helps in reducing the level of stress hormones. Ashwagandha further improves the overall quality of life. The following Ashwagandha combination is highly for mental stress, anxiety disorders and depression. Milk is also a good adjuvant if patient also experience severe mental fatigue. In such case, Ashwagandha dosage should be increased to 2000 mg twice daily. The following Ashwagandha combinations are used in ayurveda as per different types of Arthritis. In osteoporosis, you may also require other calcium supplements. In ayurveda, good natural calcium compounds are Godanti Bhasma (Calcined gypsum processed with herbs), Praval Pishti (coral calcium), Mukta Pishti (pearl calcium) and Mukta Shukti Pishti (pearl shell calcium). You can use some of these natural calcium supplements to increase bone mineral density. Research has found that ashwagandha roots and leaves play a very important role in lowering high blood glucose levels. Thus, it is considered very beneficial for the management of diabetes mellitus type-2. Ashwagandha works by replenishing the glycogen stores in the liver and it suppresses the release of the excess glucose in the blood thus, it helps to control blood sugar levels. A very interesting research has found that ashwagandha extract works by inhibiting human cancer cell lines of lung, breast and colon. Such anti-cancer property of ashwagandha was similar to that of cancer chemotherapy drug ‘DOXORUBICIN’. In fact, it was further found that ‘WITHAFERIN A’, a compound present in ashwagandha was more effective in inhibiting colon and breast cancer’s cell growth as compared to DOXORUBICIN. It also possess tumor preventing activity and immuno-stimulant properties. In addition to this, ashwagandha prevents the growth, multiplication and spread of cancer cells to other parts of the body. Furthermore, it also offers protection against reactive oxygen species that play a causative role in the development of cancer. Ashwagandha has strong antioxidant and free radical scavenging properties. It neutralizes the free radicals and protects the body against oxidative stress. Excess alcohol intake or certain toxic drugs may cause damage to the liver and may interfere with its normal functioning. Toxic drugs cause generation of reactive oxygen species that cause damage to the liver cells. If not treated, it may further lead to liver necrosis (death of tissue). In such a condition, the levels of liver marker enzymes increase in the blood. 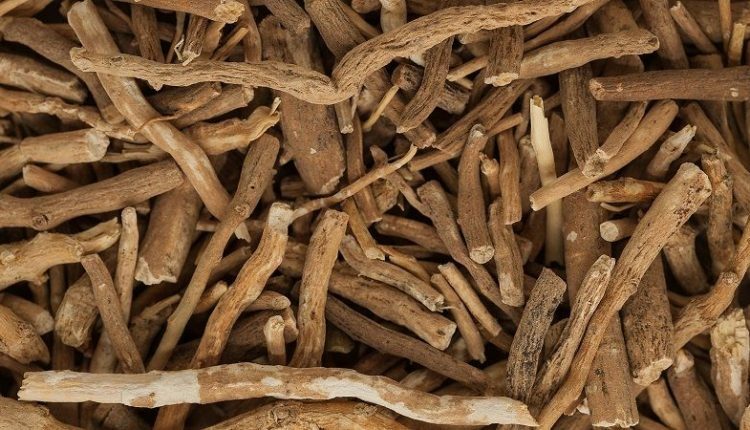 Research has found that ashwagandha root extracts are cheap, easily available and relatively safe for the treatment of liver diseases. It prevents liver damage by restoring the normal structure of liver cells and by reducing the blood level of liver enzymes. Such a drop is a clear indicator that ashwagandha reduces the damage caused to the liver. The main cause of ulcer is H. pylori infection or an imbalance between causative and protective factors. Drugs such as aspirin, excess alcohol intake and smoking increase the production of gastric acid and lead to the formation of gastric ulcers. Research has found that ashwagandha root as well as leaf extract possess anti-bacterial properties against Salmonella Typhimurium. Treatment with ashwagandha reduced the bacterial load in different vital organs and increased the survival rate of subjects with such infection. Different parts of ashwagandha such as roots, stems, fruits and leaves possess strong anti-microbial property. This property was attributed to the presence of flavonoids in free and bound form in different parts of ashwagandha. It was further noted that ashwagandha had antimicrobial activity against 3 gram-negative bacteria such as Escherichia coli, Pseudomonas aeruginosa and Proteus mirabilis. It also protects against 3 fungi namely Aspergillus niger, Aspergillus flavus and Candida albicans. Flavonoid extract from ashwagandha root had the best activity against C. albicans. Ashwagandha has strengthening action, so it helps reducing physical weakness and treating general debility after chronic disease. The following Ashwagandha combination is very effective treating physical weakness and improving physical stamina. The common cause of male infertility is oligospermia. Withania Somnifera along with other herbs improves the total count and quality of spermatozoa. The following combination ashwagandha churna helps in male infertility. In traditional medicines, ashwagandha is used in female infertility with unknown reason. In such case, ayurvedic doctors consider to maintain the optimum health of uterus, ovaries and all reproductive organs in females. Ashwagandha plays a role to provide strength and to maintain optimum health of these organs. For this purpose, ashwagandha is taken after menstruation when the bed of endometrium starts proliferating (that means from the 5th day of menstrual cycle) for enhancing its support to appropriate Kapha build-up in the uterus, stimulating proper maturation of egg cells into follicles and for strengthening the uterus and other reproductive organs. During this phase, ashwagandha should be taken with milk. Take 10 grams of ashwagandha powder. Boil it in milk, and add sugar (Misri) to ashwagandha milk. The mixture should not be filtered to discard ashwagandha. This mixture should be taken in the morning on empty stomach. It should be used after the cessation of menstrual period up to 15 days. Alternatively, 2 grams ashwagandha powder can be taken twice daily with milk. You can also take Withania Somnifera extract capsule (500 mg ashwagandha extract) with milk twice a day. Ashwagandha Churna is used in menstrual disorders occurring due to Vata aggravation. Can I take ashwagandha during period? When should I not take ashwagandha during period? If you have no such symptoms of Vata aggravation, and have any of following symptoms of Pitta aggravation, then you should avoid taking it during periods. In such cases, Yashtimadhu (Licorice – Glycyrrhiza Glabra) along with Amla (Indian gooseberry – Emblica Officinalis) and Praval Pishti are more beneficial. Note: However, the low dosage of Ashwagandha (less than 1 gram per day) can still be taken in Pitta cases to manage anxiety and stress. It is considerably safe in such cases because its low dosage has little effects on the Pitta due to minimum hotness in its intrinsic nature. The effects of its hot potency can also be minimized taking it with milk. But it is advised not to use it alone in Pitta cases. Marasmus and Kwashiorkor occur in children due to energy, carbohydrates and protein deficiency. However, altering diet and providing sufficient diet to the children during these diseases is a crucial part of the treatment. Along with dietary management, in holistic medicine, ashwagandha is used. Sometimes, child becomes weak after prolonged sickness and if he is continuing suffering from some chronic ailments. In both cases, the following method should be adopted. Take half glass of water and half glass of milk. Mix water and milk and put the pan with mixture on burner. Take 1 gram of ashwagandha powder and add it in the mixture. Boil it until it reduced to half i.e. alone milk remains and water gets evaporated. Cool it down and add sugar in this ashwagandha tea. Give this mixture to child once in a day. This ashwagandha recipe helps a lot in quick recovery from debility, nutritional deficiencies and chronic diseases of children. Ashwagandha (Withania Somnifera) dosage varies from 250 mg to 6 grams as per health condition and age group. Its maximum dosage is 12 grams per day. The reference dosage of Ashwagandha Churna (powder) is as follows. When to Take: Any Time, better is – 60 minutes Before Meal or 2 hours after meal. The reference dosage of Ashwagandha Extract is as follows. A study conducted in 2012 to evaluate the safety levels of ashwagandha (Withania Somnifera). 18 young and healthy subjects were given ashwagandha capsules for 30 days and its dosage increased every 10 days (750 milligrams, 1000 milligrams and 1250 milligrams). The results showed that no symptoms or abnormality was detected at the end of 30 days. In addition to this, no clinically significant change was found in blood pressure, temperature and pulse. No changes were noted in hematological parameters, liver function test and blood glucose test. All parameters were within normal range at the end of this trial. Thus, it can be said that ashwagandha capsules are safe to use and had no ill effects on overall health. Up to 4 grams of ashwagandha is considered safe and non-toxic for humans. However, Ashwagandha (Withania Somnifera) is considerably safe for most people, but the rare and mild side effects of Ashwagandha may appear in some individual. These side effects generally occur when Ashwagandha is taken in larger doses (i.e. above 10 grams per day). Large doses of Ashwagandha can result in following side effects. Male Breast or Gynecomastia – very rare, but it may occur when Ashwagandha powder is used in larger dosage (more than 10 grams per day) for several months (more than 6 months). Withania Somnifera in natural form (Ashwagandha Churna or powder or decoction) is safer than ashwagandha extract derived through modern methods. However, water extract prepared through traditional methods by boiling water with Ashwagandha powder is also likely safer. Can 3 months pregnant woman take Ashwagandha powder for a proper development of baby? Does it have effect on developing baby’s immune system? Does it prevent infections in early childhood after birth? What will be the dosage that can be safe for this purpose and when taken for a longer period in pregnancy? There should be no problem taking Ashwagandha Churna (Powder) by 3 months pregnant women. In India, many women are using Ashwagandha for optimum development of the developing fetus. According to Ayurveda, Ashwagandha can help enhancing immune system and intellect. It helps proper growth of developing baby. It may likely to prevent or decrease the occurrence of infections in early childhood if pregnant women consume ashwagandha throughout the pregnancy. For this purpose, the dosage of ashwagandha should be 1 gram twice daily with milk. Does ashwagandha help a person with cold clammy sweaty hands and feet? However, telling exact cause of this condition is difficult, but in many cases, panic attacks and hypotension (low blood pressure) are main cause. However, it may also have other causes like menopause, overactive thyroid, low blood glucose level, internal bleeding and heat exhaustion etc. Ashwagandha will only work in such case of cold clammy sweaty hands and feet if the underlying causes are low blood pressure or panic attacks. Will ashwagandha churna alone help to increase height or should we still have something else. Ashwagandha churna alone is also beneficial for increasing height. Other herbs, which are likely to increase height, include Shatavari, Musli, Vidarikand, Amla, Yashtimadhu, etc. Dr Singh Thanks for very informative website. The dosage of Ashwagandha Root extract is 300 mg twice daily with milk. It can also be taken up to 500 mg twice daily with milk. Capsules in name of Stress com (manufactured by Dabur) is available in the market. Dr Singh, is it safe to take ashwagandha during menses? Hi Sir- thanks for such detailed information about ayurveda. Just wanted to know ayurvedic protein supplement if any to gain muscle or Ashwagandha can help in same. Please advise fat burning & muscle gaining options in ayurveda. We are not in favor of protein supplements. The best way to get an appropriate amount of proteins is to take foods rich in protein sources. Ashwagandha can help gaining muscle mass, but it is also likely to increase the weight. Would it have negative side effects to take STRESSCOM with water instead of milk? There are no negative effects of taking Ashwagandha (including STRESSCOM that contains 300 mg of Ashwagandha Extract) with milk. If you take it with milk, it shows more strengthening action and may also promote weight gain. Does Gokshura and Ashwagandha work in azoospermia and erectile dysfunction? Please guide me the dosage. Ashwagandha and Gokshura, both are not likely to work in cases of azoospermia, but they are good remedies for ED. When Ashwagandha and Gokshura are taken together, then the dosage should be around 1 teaspoon (around 3 to 5 grams) with milk and twice daily. Can ashwagandha combine with kalonji (nigella sativa) or such herbal medicines, which contain nigella sativa? Yes, Ashwagandha can be taken along with Kalonji (Nigella Sativa) and its formulations without any issue. I strong believe that nature is a great healer. Shall I take ashvagandha churna for weight gain without medication? Will there be any side-effect due to this consumption? Is there any other ayurvedic medicine for nutritional supplements? Also suggest a suitable place / store/ online shop from where I can buy a pure ashvagandha churna without any adulteration/artificial mixed ingredients? Yes, Ashwagandha churna will help you to gain weight. For this purpose, you should take it in dosage of 2.5 grams twice daily with milk. Can I take aswagandha with water to increase my health? Yes, you can take ashwagandha along with water or milk to improve your health, increase your strength and prevent diseases. For this purpose, generally, 750 mg ashwagandha powder per day is sufficient and advisable dosage. Greetings, my questions are as following. 1- Can I take Triphala, Ashwagandha and Arjuna Daily. 2- I have little faster Heart Beat. Is It safe to take Ashwagandha. 3-what is the safest possible daily dose for Triphala/Ashwagandha and Arjuna tablets. Is ashwagandha churna and ashwagandha root powder are two differnt things or same? How to use ashwagandha for height gain after 21? Both are same things. You can take 2 grams Ashwagandha Churna along with a cup of milk for increasing height. Which herbs can increase libido in women. Asparagus, Pumpkin Seeds and Nutmeg should help to improve libido in females. Can i eat himalya aswagandha and himalya mentat together and how much and when ?? Sir, I am suffering from the ankylosing spondylitis. I have a hla b27 positive. Which is best for me Ashwagandha capsules? How long should I take? Please help sir… Please mention dosage..
How do I take ashwagandha tincture , before or after meals and how much is little water ? I would like to take Ashwagandha to balance the effects of stress on my body. I am a pita type and my stomach is easily aggravated. I started taking 1/4 teaspoon of Ashwagandha powder in a cup of chai today and my stomach hurts now. I can take less, may be starting with 1/8 of a teaspoon with breakfast and see how that feels. I saw that you mentioned taking other herbs in combination with Ashwagandha for Pitas. Could you please elaborate? Thank you! i have acute tonsils. so is it safe to take ashwagandha? Can I take ashwagandha for gaining weight? If yes then how much quantity in a day and till how many days I will see results. 1. Yes, ashwagandha increases weight. 2. Treatment duration may vary person-to-person. Generally, you should get results within 3 months. 3. It can help you to gain 1 to 3 Kg weight per month. However, you may also require increasing calorie intake and medicine to improve your liver functions and appetite. For this, you can add Trikatu Churna (5 grams) in Ashwagandha Powder (100 grams). Can I take ashwagandha, arjuna and gokhru together? Yes, these herbs can be taken together. I have piles. 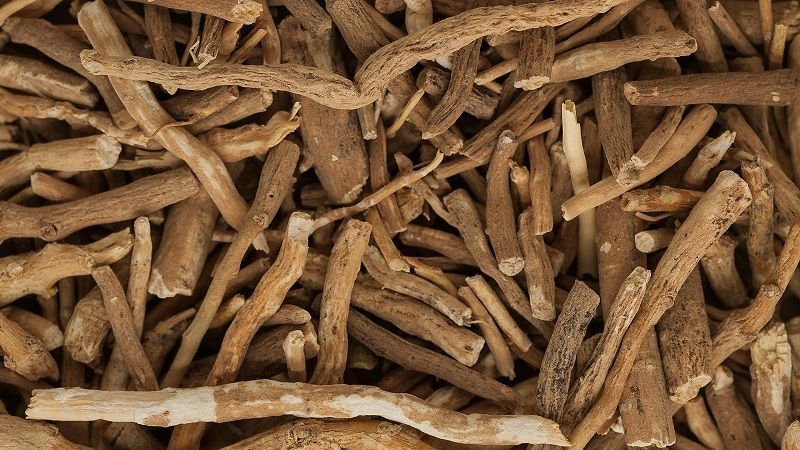 Is it safe to consume ashwagandha? Yes, Ashwagandha (in its natural form i.e. powder) can be taken by patients with piles. Can I take Ashwagandha capsule with senna powder? Yes, you can use both together. Can I take ashwaghndha capsule and petsaffa tablet together? Yes, you can use both. How long it can be taken in case of severe body weakness due to ibs constipation? Ashwagandha is a Rasayana (rejuvenating) medicine. So, you can even take it throughout the life without any problem. Generally, it shows good results within 3 months.